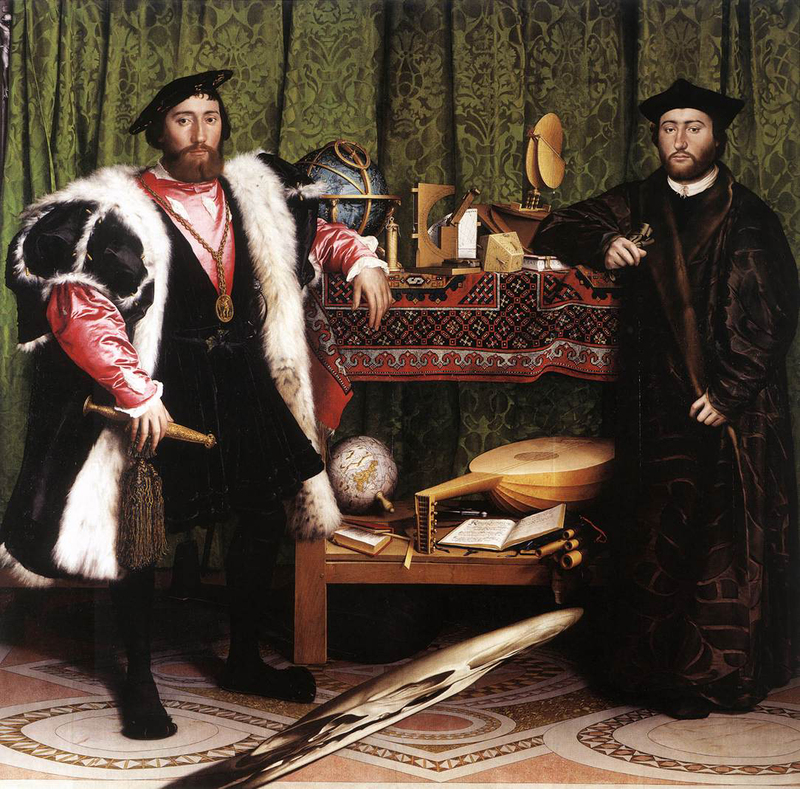 Holbein's placement of the two men in relationship to the table appears to echo this idea. Dinteville and de Selve bridge the two levels of the table whose lower shelf with the inclusion of the world globe signifies the terrestrial realm while the table top with the astronomical instruments and celestial globe presents the celestial realm. The Ambassadors should be seen in this hierarchy of knowledge beginning with sense followed by reason and completed by intellectual vision. Each of these levels of knowing can be seen to be alluded to in the painting. 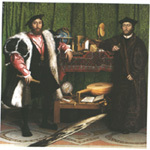 Sense is well manifested by Holbein in his attention to detail and the careful differentiation of materials represented. The objects on the top and lower shelves of the table can be seen as the tools associated with the new learning of the period and exemplify the use of the mathematical sciences by man to recreate God's creation through discursive reason. In intellectual vision humans transcend the rational categories.